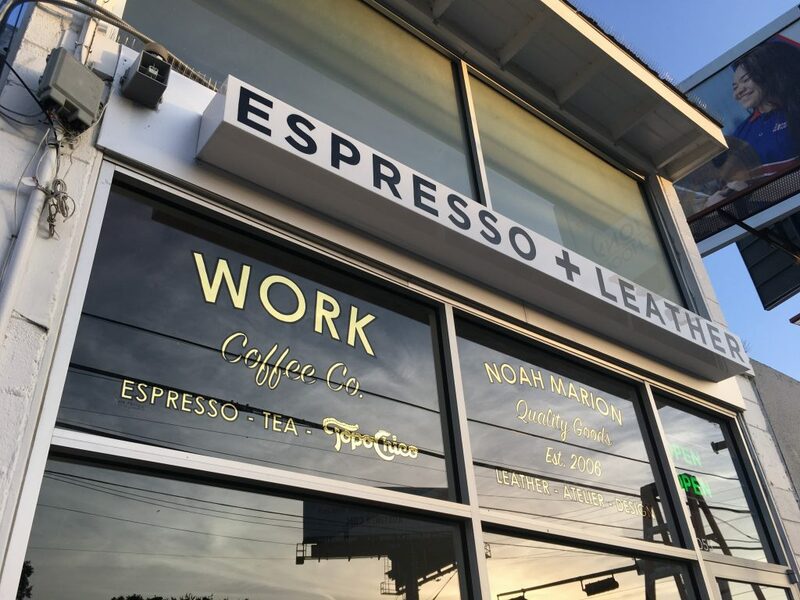 When you first step foot into Noah Marion Quality Goods on South Lamar, it’s evident that every detail of the space has been thoughtfully crafted, from start to finish. Most everything you see was made by Marion himself, whose true passions are building and creating things. 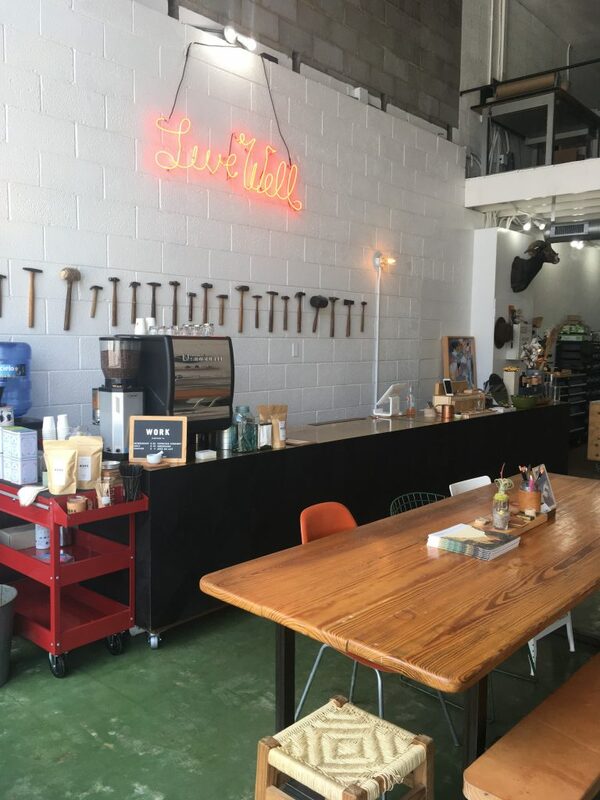 He built the 16-foot counter he stands behind, ready to talk about his leather goods, or whip up the caffeinated beverage of your choice. As soon as you start talking to him about his passions, you can tell he wholeheartedly puts himself into everything he sets his mind to. Noah Marion credits a ceramics class in third grade as the spark that made him realize he liked working with his hands. “That was the start of my hand-to-art brain patterning,” Marion says, as he talks about the private classes he took at Clayways off Burnet Road. Art filtered into his life, and the lives of his brothers, to the point that they eventually found themselves in different creative fields. After taking French and Politics in college, he switched his degree track to conceptual art at Tulane University in 2006, with a focus on sculpture. Marion made his way back to Austin and quickly realized there was a sort of disconnect with sculpture and pottery he didn’t intend on when creating his pieces. He then inherited an old sewing machine from his father and learned leather-working on his own. With his goals in mind, Marion began working in his mother’s garage, meticulously creating products while learning the ropes of starting a new business. He opened a web store with 30 original products. Today, over 180 products are available. As his product catalog grew, so did his workspace. Shortly after launching his business, he moved into a space of his own, with his studio in the kitchen. Several moves later, he landed on South Lamar Boulevard, in a beautiful brick and mortar he rebuilt into a store, studio, and cafe called Work Coffee Co. Marion and his brother rebuilt and renovated the whole building to feature exposed brick and plenty of open space to display his intricate leatherwork. 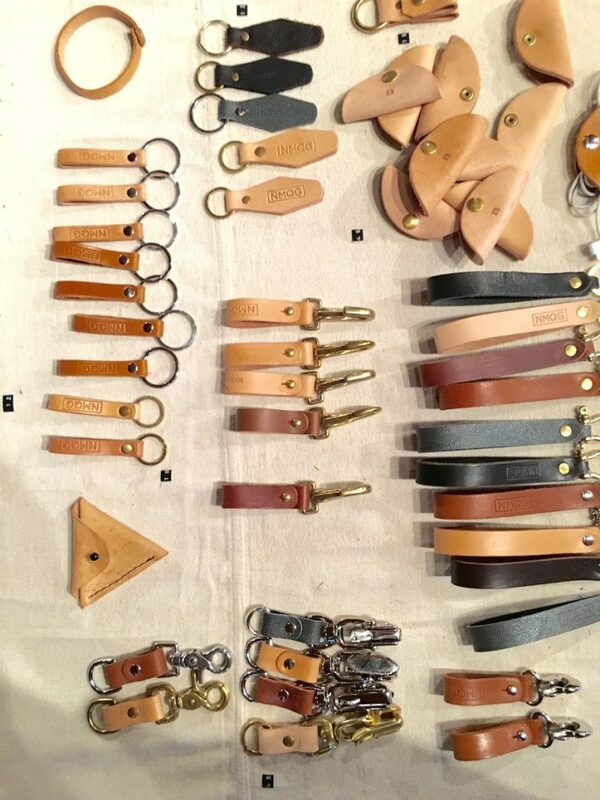 Products by Noah Marion Quality Goods can be found at local stores like Weathered Coalition, and Parts and Labour. Marion has since expanded to boutique stores in cities coast to coast, including New York City, Los Angeles, and San Francisco. His work is so distinct that you can spot it anywhere. Local businesses like Kemuri Tatsu-ya, Fresa’s, Trace, and Lambert’s have collaborated with Marion, as well. “We don’t cut corners; we make everything right,” the artist said, as he explained the process of his work. His conceptual background gives added depth to his products, from leather goods, to the hats that made their way into his line two years ago, to most of the furniture in his studio (yes, he really built out almost everything in his space). 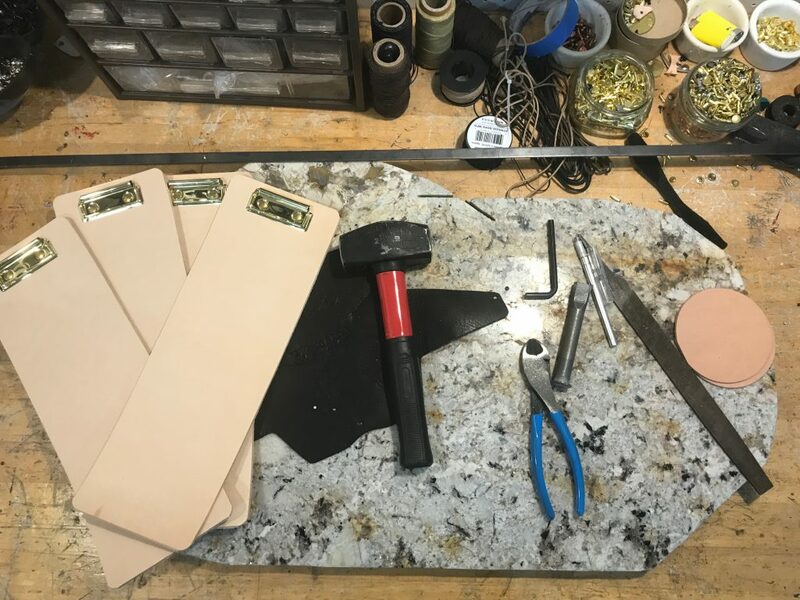 An apprenticeship program for leather-working proceeds from apprenticeship to journeyman, craftsman, and, finally, to master. Yet, Marion doesn’t consider himself a master at his craft, since his being self-taught is different than going through an apprenticeship. Others might beg to differ when they see his products in real life. Have you been to Noah Marion’s shop on South Lamar?